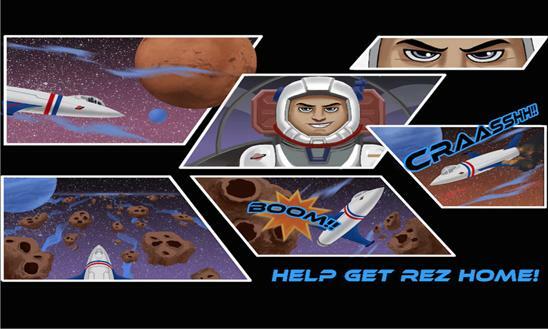 Published by Marmalade Technologies Ltd.
Suit up to join a crazy adventure to help get Rez home from the deep and dark mysteries of Space on his one way trip to adventure and fun. Rez while getting back to Earth in his space craft gets trapped in an asteroid belt and crashes on an unknown planet. Can you help get Rez back home? Spiel Studios brings to you a brand new action packed space adventure to help get Rez home. 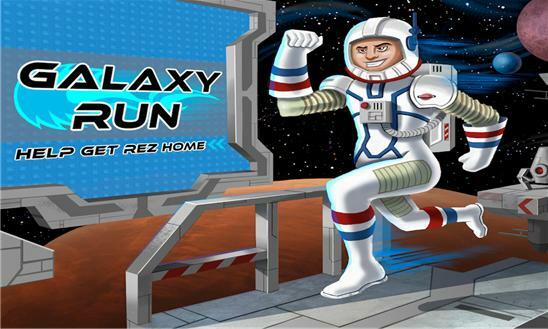 An easy, addictive and interesting one-touch, single-screen gameplay, with over 350 levels, called Galaxy Run. HIGHLIGHTS - Auto-Running, Single-Screen levels - Easy to learn One-Tap gameplay - Over 350 total levels - Over 90 extreme levels - Full Retina Display Support with excellent gameplay graphics - 18 Unique Gameplay features, including Anti-Gravity, Speed Boosters, Grappling Hooks, Springboard, Portals and many more! - 3 Special Power-ups to Skip the Level, Slow-Mo Timer and Ghost to get through extreme levels - Engaging soundtrack - New Levels added Daily via the Bonus section - 3 Unique Character Costumes available, each with special abilities. Just tap on screen to start and tap again to jump over obstacles. Use your reflexes and strategic skills to your best advantage!